On Epiphany Sunday, January 4, the people of Crafton Heights wondered about the power of celebrity and the difference between Jerusalem and Bethlehem – then and now. Our texts for the day were Isaiah 60:1-6 and Matthew 2:1-12. 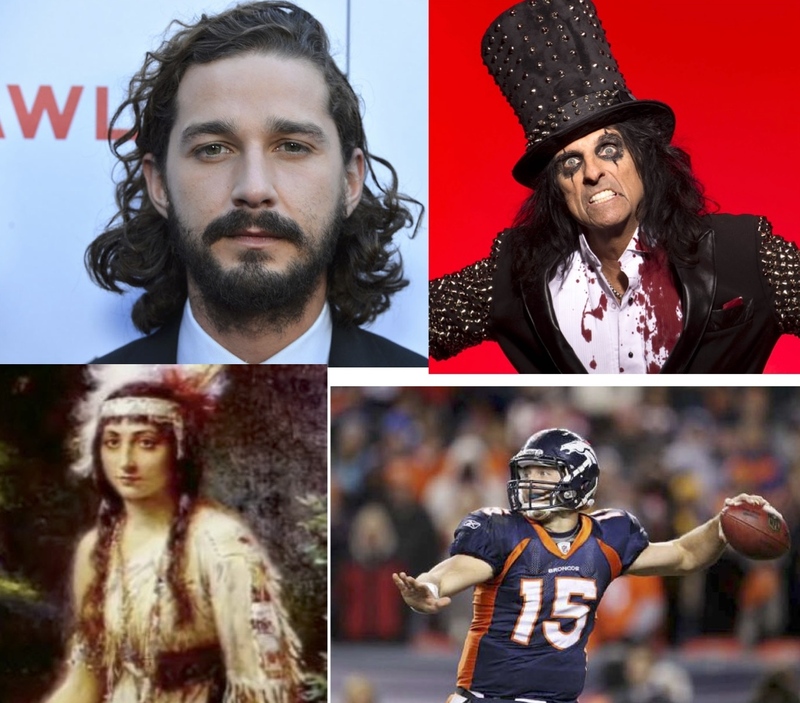 Think about these people for a moment: Shia LaBeouf, Alice Cooper, Pocahontas, and Tim Tebow. What do you think connects these people? What do they have in common? Each of these people has self-identified as a “Bible-believing Christian”. I know that because some other Christian writer or speaker has pointed to those folks and said, “See? These people are Christians…” as if acknowledging Christ is somehow more attractive or effective when a celebrity does it, rather than when you do. Every now and then I’m with a group of pastors and someone will nudge me and say, “Do you know so-and so?” And I’ll say, “The famous athlete/musician/politician?” And the other person will say, “Yes, that person. Did you know that she worships at my church? Yep. A believer.” Or take a look at the “head table” at just about any prayer breakfast around the country – the wealthy and powerful elite, calling the rest of us to be encouraged and faithful. We love our celebrities, don’t we? 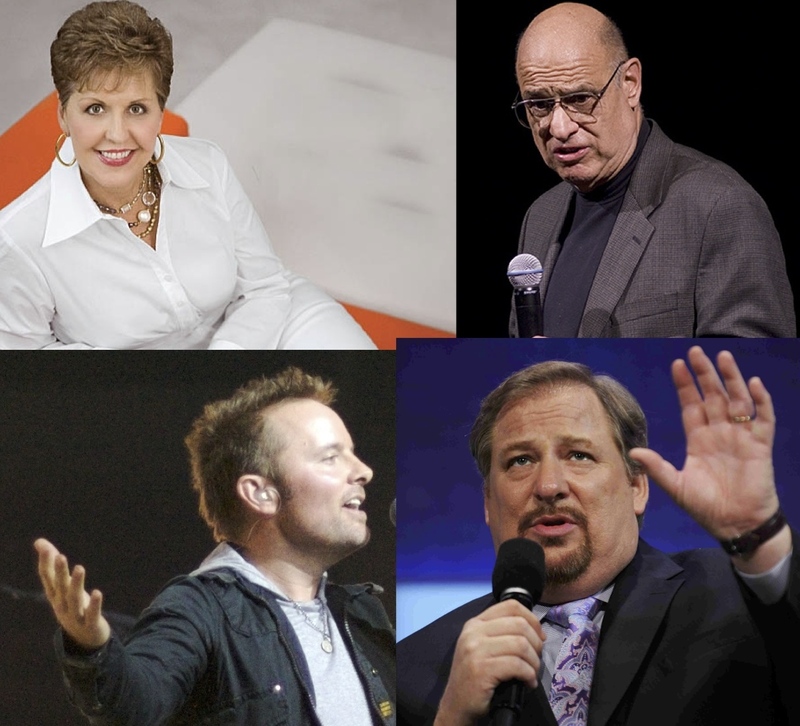 In fact, in Christianity, we have our own: Joyce Meyers, Tony Campolo, Chris Tomlin, Rick Warren, and others. Why do we do this? What makes us care more about what, say, Clint Hurdle has to say about faith than about the woman who works in the cafeteria line? There is an attractiveness in celebrity Christianity that bears examining. Isaiah 60 describes a similar situation. The reading you heard is a poem that was read to the people in Jerusalem hundreds of years before Christ. Isaiah 58 and 59 describe a people who are cut off from God. They are not walking in God’s ways, and they complain that God has forgotten them. They have returned to Jerusalem after decades of life in Babylon and they hate it – and who wouldn’t? Who wants to live in a burned-out, bombed-out city where there are no jobs, the economy is in the toilet, and nobody does anything? But the prophet says to them in chapter 60 that things are going to change – the city will be reborn! Prosperity is coming! Peace can be found, and the King himself will come and lead us! The inhabitants of Jerusalem are, not surprisingly, encouraged by this. When Matthew got around to writing his account of Jesus’ life, he chose to use the passage from Isaiah 60 to remind people about the fact that God himself indicated that the power, wealth, and majesty of foreigners would come to worship the true King of Israel…although as it turns out, they do not do so in Jerusalem. The Magi show up from distant lands looking for this wonderful new king and Herod, unsurprisingly, is a little concerned: He kind of likes the current King (himself!). He decides that he’d like to find this new king as well, and so he calls in his best advisors to see if they can’t help locate the one for whom the wise men are searching. As it turns out, they recall an obscure verse from the prophet Micah, who indicated that the light of God would indeed shine forth, not from Jerusalem, but from Bethlehem. Now, the truth is it’s only nine miles from Jerusalem to Bethlehem, but by any objective measure, it’s a lot further than that. If Jerusalem is the “Golden Triangle” downtown – the center of commerce, industry, wealth, and power – then Bethlehem is Wilmerding. Nowheresville. But what surprises Herod – and us, if we’re honest – is that the wise men go ahead and make the trek to Bethlehem, a village of peasants. They thought they were en route to meet a powerful king, but somehow they were able to reorganize their lives and their trip around the information that Herod gave to them. They arrive in Bethlehem and discover a “king” who is a vulnerable baby, the son of a teen mother and a father who is virtually unknown. And in that crude place, these scholars from the East bow down and worship. And I thought this morning about the fact that today nobody knows who these “wise men from the East” were. We’re not sure where they’re from, who they represent – heck, we’re not even certain how many of them there actually are. Matthew doesn’t give us any of the details about them. But he does give us Jesus’ name, doesn’t he? We may not know who they are, but we know who they came to worship. Nine miles. It’s not that far. Most of you could walk that in a few hours. Some of you have run farther than that in a morning. I’m not sure what would compel you to do so, but I know that you’ve done it… Nine miles is close. It is. But while the line that starts in Jerusalem is quite close to line that starts in Bethlehem, their trajectories are significantly different. What looks like only nine miles at the start is light-years away at this point. As we start 2015, are you looking for power, security, and prestige? Are you looking for celebrity status and recognition? Or are you willing to trust a God who shows up in anonymous backwaters and speaks quietly to the poor? A God who not only comes to those places, but who invites us to humbly follow him there; moreover, a God who seems intent on sending us to those places to celebrate, discover, and share his love and grace. In two weeks, I’ll be (Lord willing) in some village you’ve never heard of in South Sudan. 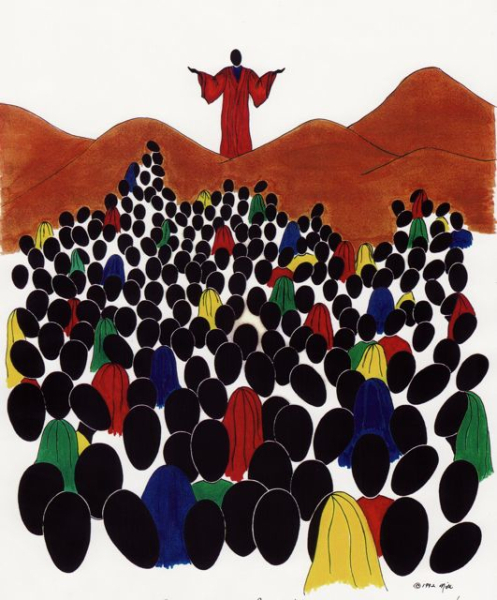 I’ll be trying to keep up in worship with a group of people who have spent far too much of their lives as refugees and aliens, who may not be able to read well, if at all, and for whom fear and uncertainty could be constant companions. I’m not going because I’m all that; I’m going because in that place of need and vulnerability and war and hope and perseverance and joy I hope to get a glimpse of how and where the God who was behind that star 2000 years ago is on the move today. I know God is at work there – and I’m not going because I have any illusion that my showing up is going to somehow make some poor man’s life better. The purpose of this trip is to strengthen and encourage the church – by allowing some American church leaders to see where God is on fire. I have it easy. You’ve got the hard part. While I’m off gallivanting around Northern Africa preaching to and praying with the church under fire, you’ve got to try to get a glimpse of that same God and where he is at work as you ride the 31 bus or walk through Brashear High or visit friends in nursing homes or pick your produce at the Giant Eagle. That same God is surely at work in those places, my friends. Because the story isn’t over until the Magi make it to the manger. The story of Epiphany is a deep and powerful message, centered in hope and directed toward peace. In this story, we are reminded that we, like the Magi, are to follow the light of Christ and then to reflect that same light. Most of us are looking in the wrong place. We are off by nine miles. We are now invited to travel those hard, demanding miles away from self-sufficiency. Epiphany is a good time to take the journey, for [the conflict in our world] reminds us of the shambles that can come through our excessive pretension. The way beyond is not about security and prosperity but about vulnerability, neighborliness, generosity, a modest future with spears turned into pruning hooks and swords into plowshares. Let’s you and me be found in Bethlehem this Epiphany. As we continue to live in and under the light of that star, we can be assured that the celebrities from Jerusalem will find us sooner or later. The only starpower that matters is the light that calls us to live in the same manner as did our Lord. Thanks be to God for the ability to do so together. Amen. Walter Brueggemann, “Off By Nine Miles”, Christian Century 12/19/2001. We had a wonderful time with the children yesterday in worship. Because so many of our families expressed an interest in and appreciation for the message that was shared, I thought it would be good to share it in this context too. The Imler home, in Sheraden, is chalked and ready for a new year! 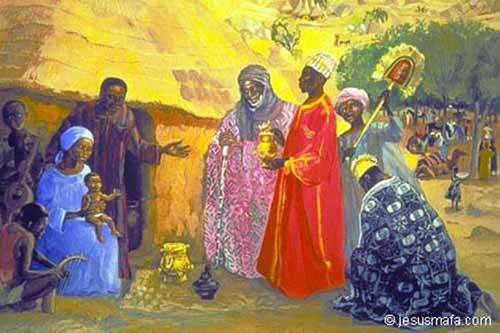 January 6 is the day we celebrate Epiphany in the church. We remember the Magi who came to visit, worship, and bless the Christ child, and we celebrate the fact that the Good News of Jesus was not restricted to an “insider’s circle”, but rather sent into the world as these Three Kings went “home by a different way”. Their encounter with the Christ had changed them. In worship in January 4, I invited the people of Crafton Heights to participate in an old European tradition known as “chalking the doors”. The idea is that we take chalk – a natural, simple, and fragile element – and use it to write a prayer on the doorway to our homes. In doing so, we create a tangible reminder of our call to make these dwellings a place of blessing to all who enter through the doors, and we ask God’s spirit to protect us from that which would harm us in our comings and goings. The children helped me to tell the story of the Magi’s visit to the Holy Family, and then we moved to a door in the church where I led them through a brief exercise involving the chalking and a prayer. You can read more about the tradition of chalking the door by clicking here. 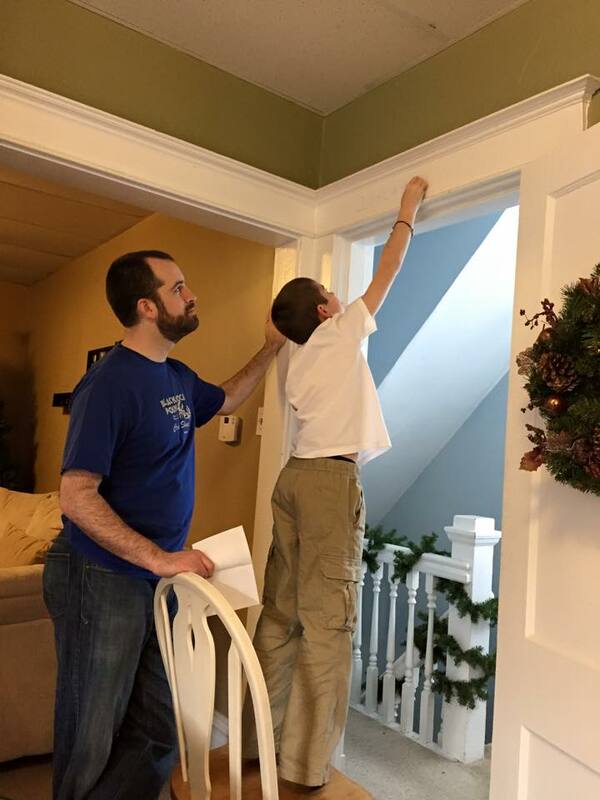 Jackson helps mark his family’s home. At the end of the children’s message, I gave each participant a baggie containing a piece of chalk as well as a half-page liturgy to use at home. 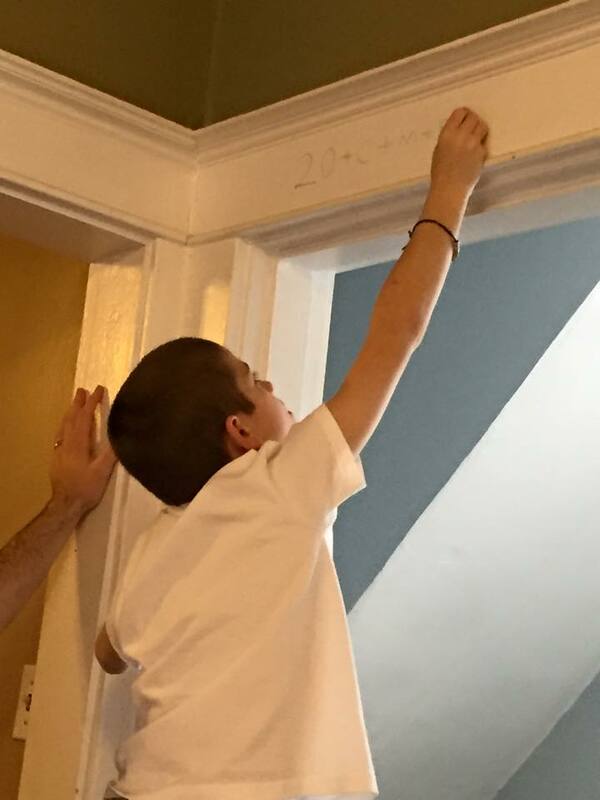 I am delighted and encouraged that so many of our folks chose to mark their homes (and their children!) in this way. The text of the liturgy I shared is below. Please note that I make no claims of originality here – I simply did some research, stole some good ideas, and tried to share them in a way that would make sense to our people. I think it did. There’s still time for your family to mark your home this season! The church celebrates the day of Epiphany on January 6 each year. Epiphany is the day that we remember the wise men. Although their names are not found in the Bible, traditionally we remember them as Caspar, Melchior, and Balthazar. In an ancient European “chalking ceremony”, the first letters of these three names — C, M, B — are inscribed on the door frame as a blessing is offered for the home. 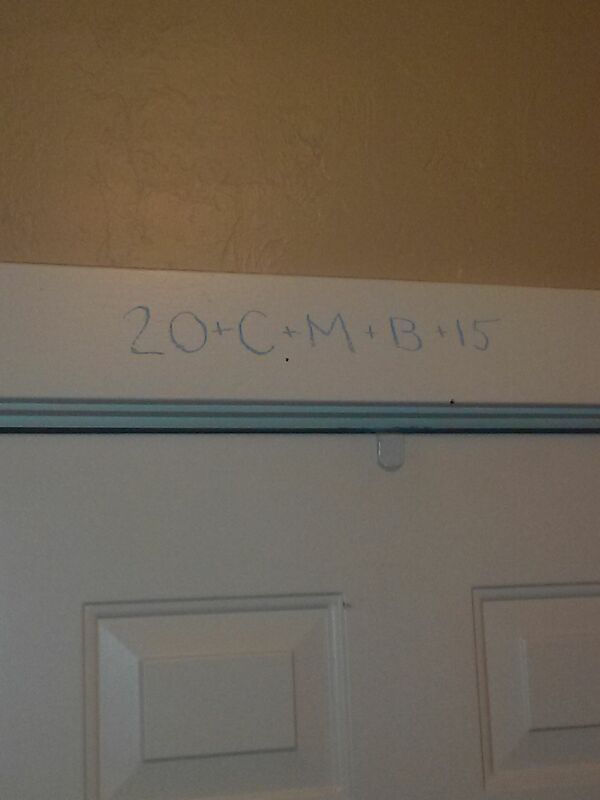 Some suggest the C M B may also stand for “Christus Mansionem Benedicat,” meaning “May Christ bless this dwelling.” If you would like to chalk the doorway of your home, you can do so by writing 20 C M B 15. The wise ones followed God’s star to Bethlehem, seeking the savior. Let us follow the star. They found Jesus in Bethlehem and knew they had found the one they were seeking. They fell down and worshipped him, offering him gifts of gold, frankincense, and myrrh. Let us offer all that we have to the Lord. Caspar, Melchior, and Balthazar followed the star of God’s son who became human two thousand and fourteen years ago. May Christ bless our home and each person who lives in it or who visits us. You may go inside to say this prayer or stay outside. Holy God, watch over our going out and our coming in and fill us with the light of Christ, that we may grow in love, in wisdom, and in faith. O God, make the door of this house wide enough to receive all who need human love and companionship; narrow enough to keep out all envy, pride, and anger. Make its threshold smooth enough to be no stumbling clock to children, nor to straying feet, but rugged and strong enough to turn back evil’s power. O God, may the door of this house be the gateway to You. I ask these things in the Name of Jesus Christ. Amen. One of the best things about this exercises is that it gives fathers and mothers a chance to help their children act out faith in a tangible way. On January 5, we observed the Day of Epiphany (a day early – so sue me!). We read from Matthew 2:1-12 and Isaiah 60:1-7. Since the last time I’ve preached, I figure I’ve logged about 1500 miles behind the wheel of my Toyota. Most of that has been on the PA Turnpike, and that’s given me, according to Mapquest, approximately 23 hours and 40 minutes (according to current traffic conditions) of time to observe the driving habits of the American public. 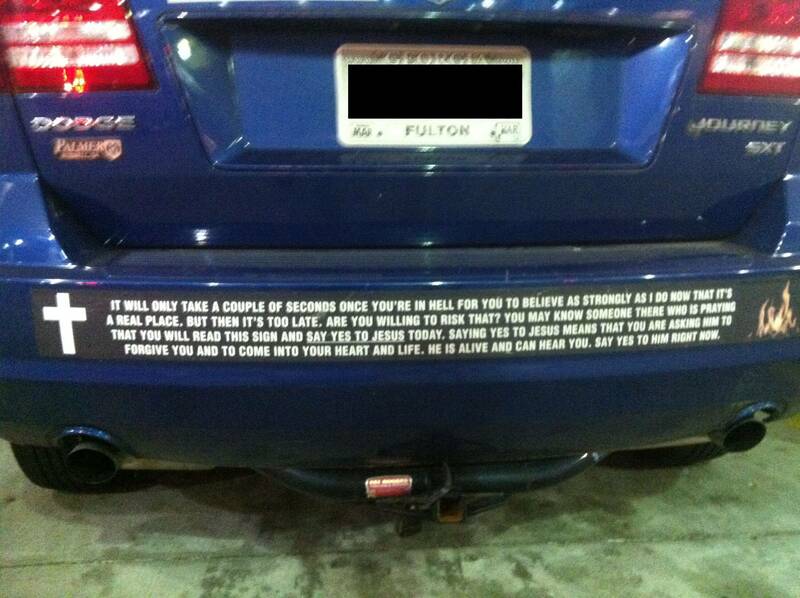 In addition to keeping an eye out for texters and tweeters, I like to look at the bumper stickers. It’s interesting to think that we’d spend ten, twenty, or even thirty thousand dollars on a new car and then we hustle off and plunk down another 99¢ so that we can share our philosophy of life with those who must wait behind us at the toll booth. And what a variety! Life stinks, and then you die. 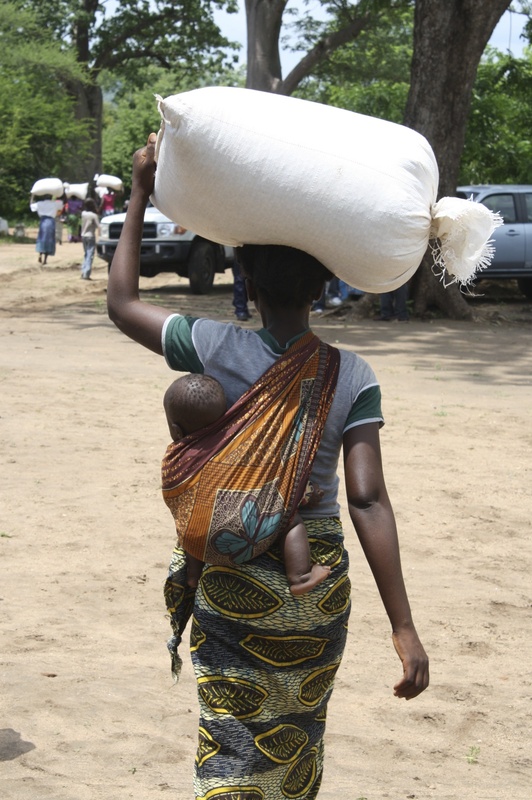 That must be a hard load to carry around every day. When I think about that sentiment, I am reminded of Samuel Beckett’s play, Waiting For Godot. This play, which premiered on this date in 1953, was voted “the most significant English-language play of the 20th century.” It is a classic statement of the despair and hopelessness that characterizes much of modern life. The central figures of the drama are two unwashed, nearly helpless tramps named Vladimir and Estragon. They seem to have come from nowhere in particular and have no place else to go. They are waiting in the midst of a bleak landscape sitting, chewing carrots, awaiting the arrival of someone named Godot. 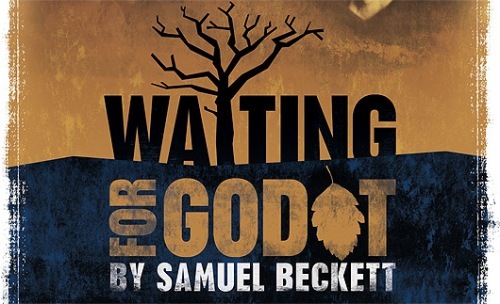 As these two hapless men wait in idle conversation, they are interrupted several times, most notably by a young man who arrives to tell them that Godot will not come that night, but will certainly come tomorrow. The next day the two tramps are again waiting, and again engage themselves in conversation that reveals them to be people without any real hope or purpose in life. But not everyone believes this, of course. That’s just one person’s philosophy of life. 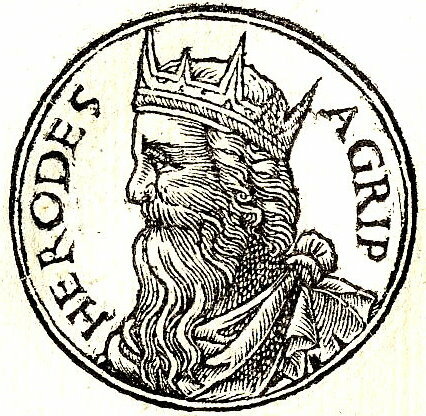 Herod was a man with power over his destiny. He was the king. He was in charge. He surrounded himself with the finer things in life, and generally got whatever he wanted. What he didn’t like, though, was when someone threatened his power or his lifestyle. So when word reaches him of a baby who has been born to be the king, Herod takes more than a passing interest in the situation. He calls the best minds together and presses them for information about this infant messiah. He claims that he wants to worship, but his intentions are obviously elsewhere. After all, Herod’s got a kingdom to run. He’s got interests to protect. And he’s not going to let any kid get in the way of the life that is his to enjoy. The visitors from the East, the wise men who had brought this news to Herod, had quite a different philosophy of life. 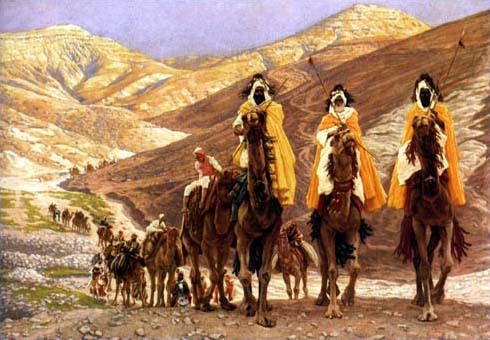 They are sometimes referred to as “Magi”, from the Greek word, “magoi”. Sometimes this term refers to men who are magicians, but it’s most likely that in this instance, the travellers are astrologers. These are men who believe that there is some source of power outside of themselves, that there is an unseen force who directs the stars and who orders the lives of men and women. 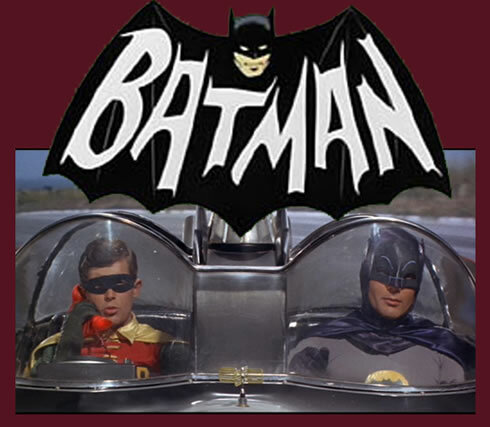 The Wise men are on a journey because they believe that they have a clue about who this power and what this force is. For them, life itself was a pilgrimage – they looked for truth and then sought to incorporate that truth into their lives. When they entered the place to which this star had led them, they fell down and were amazed by the presence of God in that room. They offered the baby gifts that were appropriate to royalty. They worshipped him. They listened for the voice of God in their dreams, and they went home by another way. They went home changed. Although they would have disagreed with Herod in many ways, these men would also have little patience with Mr. Beckett’s view of life. Their own lives were hardly a journey of pain that would end in death – no, they were always growing, always searching, always seeking the heart of the universe. There have been times in these past weeks that we have looked a lot like the Wise Men. We have taken advantage of the opportunities for service or for celebration that we have been given, and our lives, as well as those around us, have been enriched because of it. We have brought our gifts to the Christ Child: offering food to the hungry through our food pantry, singing carols to the lonely, listening to the troubles of a friend, or lending a hand when it’s been needed. We’ve made statements of faith, including bringing our estimates of giving for 2014 to be dedicated and holding a single candle against the darkness of the night. Yes, there have been days when we felt like the magi, when we worshipped, when we were attentive the journey to which we have been called, and when we tried to have hope in the darkness. And, I suspect, if we’re honest, we’ll realize that there have been days when we have resembled King Herod. We have heard the proclamation of Christmas joy and have been interested to know more about this new king. But there have been too many times when we have been willing to run to Jesus as our savior from sin, but have rejected his right to rule in our lives. We have heard an invitation to change as a threat to the way that we live right now. We have been tempted to reject those who are poor or on the margins of our world. If I know you like I think I know you, I would imagine that there have been times these past weeks when we have felt the despair of Vladimir and Estragon – moments when it seemed as though there was no joy in our lives, no purpose in our actions, no relevance to our existence. We have been tempted to throw up our hands and say, “What’s the use! Nobody cares if I’m even trying….” Yes, there have been days when we have felt hapless and helpless, when we have struggled to believe that there is anything worth waiting for. On this day, though, we are not like the Wise Men, Herod, or Beckett’s characters, because we have gathered to celebrate what for them was at best a distant hope. 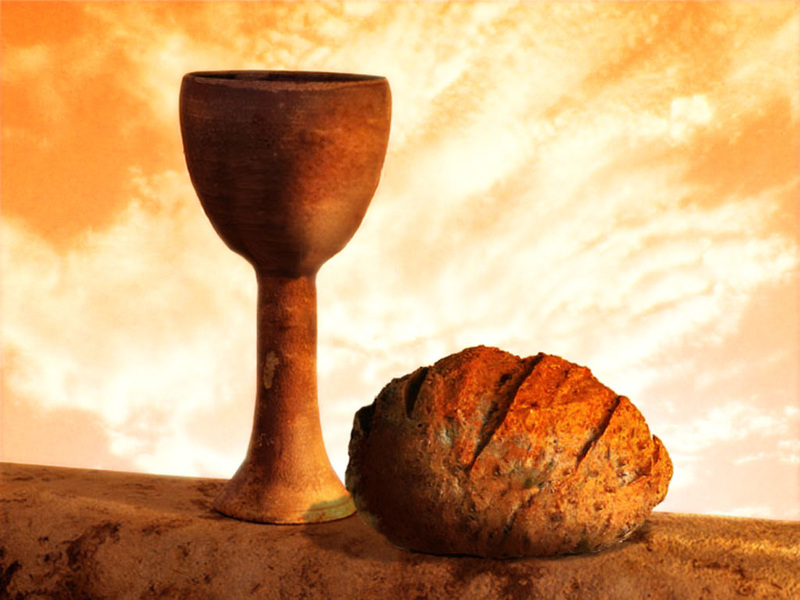 On this day, we gather at the table of our Lord to share the sacrament of the Lord’s Supper – the visible demonstration of God’s promise to be with us in all of our days and in that time when days cease to be. People of God, this meal that is laid before you, this simple combination of flour and salt and water and yeast, this dough is the symbol that reminds us that Christ has come, and that he has broken death’s hold on you and on me. This meal is what we have been waiting for. All of the scripture and all of the stories in the world would be irrelevant if we didn’t know that God is here, that God is with us. And the power of this sacrament is that it provides us with the assurance that our longing is fulfilled in Jesus Christ, that Christ is here, and that he is calling us into a journey that will last our lifetime. This is what we have been waiting for. So, beloved, arise! Shine! For your light has come, and the glory of the Lord has risen upon you. Nations shall come to your light, and kings to the brightness of your rising. Your journey has led you here, and God will lead you away from this table into the places you will be needed in 2014. Your waiting is not in vain, and your hope is not far off. Jesus, who has loved you and called to you since before you were born, is waiting for you. Your story has meaning because it is woven into the story of the People of God. What are you waiting for? Christ is waiting with and for you. What are you journeying toward? Christ is journeying with and toward you. Let us enter this new year committed to following the star and eager to worship the King who has come that we might live. And let us pledge that this commitment will not be a hollow sentiment or a holiday feeling, but a way of life that will challenge us, bless our neighbors, and change our world. Thanks be to God! Amen.